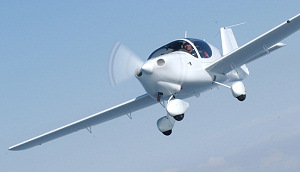 Orbifly is an European Flight School offering FAA flight and ground training. 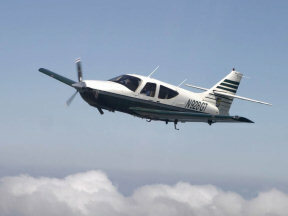 Our FAA certified instructors are familiar with flying in the US as well as flying in Europe. Safety is our major concern, fun is the second : we want to share our passion for flying with you. It's no surprise that the US rate of accidents for private aircraft is far below European statistics: the proportion of private Instrument Rated pilots is also far higher. This rating gives the opportunity to fly under IFR rules, but also provides very useful skills in marginal VFR conditions. The FAA Instrument Rating is not only easier, but even adapted to both private and commercial pilots : it's no use to learn tons of theoretical knowledge as if preparing an A320 rating, if you plan to fly a light single or twin-engine aircraft. A more coherent learning : Safety remains in the center of the pedagogical circle. And as modern life gives you few time for extra learning, we offer you the possibility to learn during intense short-time courses. Even if you are not a professional pilot, we are. We like to demonstrate that everyone, with some training can act and fly seriously, with fun and safely. Instrument Rating... What's next ? If you own (or plan to own) an aircraft, it will also be cheaper to equip a US-registered aircraft for IFR operations than an European one. Last but not least, as regulations in Europe are becoming more restricting, your instrument rating will grant you access to some airspace you would not have had the opportunity to access under VFR. Do I need the US License ? This is not mandatory for VFR. If you do not fly outside of your national boundaries, you can even fly VFR on a US-registered airplane with you European license. If you wish to fly out of your country (ICAO member), or take the US Instrument Rating practical exam, you will have to obtain a FAA validation of your european license by a validation process. This is a simple mail exchange between you and the FAA. Once your license is validated, you will get a US license issued on basis of your European license, and valid as long as your European license and medical are valid. If you wish to get a stand-alone US license, you can also pass the US PPL or CPL. 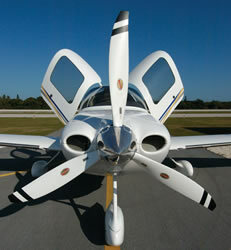 Your FAA license will then be valid whatever the validity of your European license. Or you can prefer a stand-alone US PPL or CPL, to break all links with the JAA system, and simplify your ratings renewals. You are now convinced ? You want to fly IFR ?